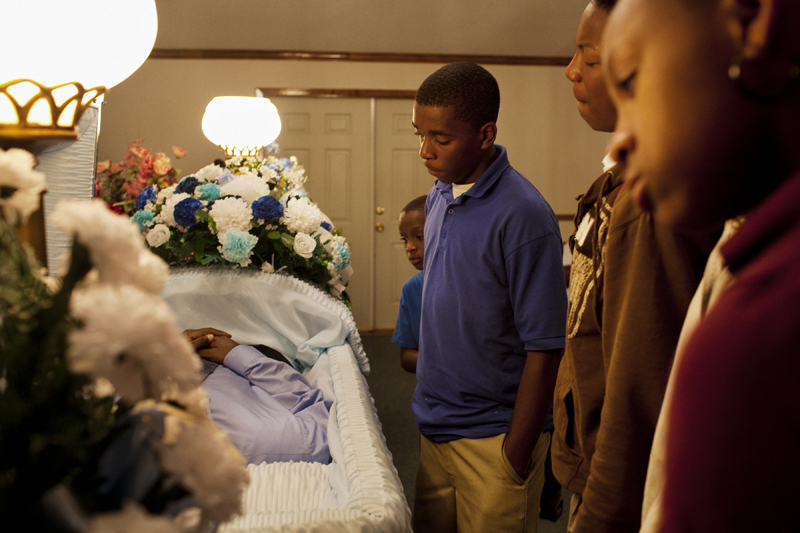 The wake of Demetrius "Butta" Anderson, 18, in Greenwood, Mississippi on Thursday, November 4, 2010. Butta was shot and killed on October 27, 2010 by a man he had assaulted a year before. His older brother was shot and killed in 1996 and his cousin, Bianca Keys, was also 18 when she was murdered in 2009. Butta's girlfriend is pregnant, due in December.